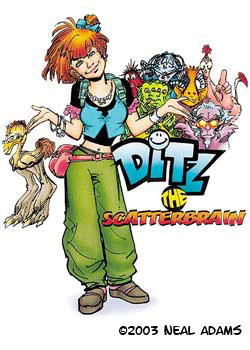 DITZ THE SCATTERBRAIN- Lizzie Mcguire meets Men in Black. 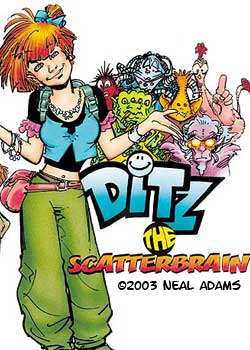 A seemingly normal teenager, who is the daughter of an alien and an ex-astronaut is recruited by our Intelligence Department because she possess the unique ability to enter other peoples and visiting alien’s brains and control them. Only thing is, when she does this, it temporarily depletes her own brain power and she (herself) is reduced into the level of a scatterbrained ditz.